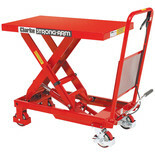 The Clarke Strong Arm 500kg Table Lift is ideal for general workshop use for lifting heavy or awkward items to a convenient working height. 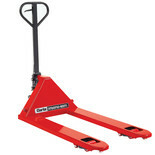 The Clarke Pallet Truck has been built for daily use in factories and warehouses, with the heavy duty steel construction and 3 position trigger includes neutral for safe handling. 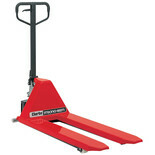 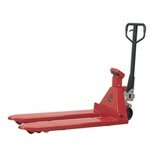 Ideal for general workshop use for lifting heavy or awkward items to a convenient working height. 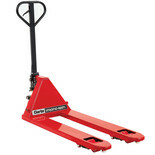 The Clarke PT540CM Pallet Truck has been built for daily use in factories and warehouses, with the heavy duty steel construction and 3 position trigger includes neutral for safe handling. The Clarke PT540BM Pallet Truck has been built for daily use in factories and warehouses, with the heavy duty steel construction and 3 position trigger includes neutral for safe handling. This Clarke Pallet Truck has been built for daily use in factories and warehouses, with the heavy duty steel construction and 3 position trigger includes neutral for safe handling. 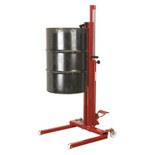 This 205L Drum Hydraulic Truck & Van Loader is ideal for loading and unloading barrel bunds, vans and general drum handling when forklift is not available. 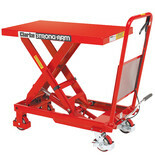 Whether you're looking for Pallet Trucks, Platform Trucks, Access Ramps, Power Tools, Woodworking Tools, Hand Tools, Construction Tools - any type of Tools & Equipment, visit your local Machine Mart now and see our huge range in-store, or try our secure on line ordering or Telesales Mail Order service.